As with everything, the key is in the preparation! It’s what you don’t see that is as important as what you do see. 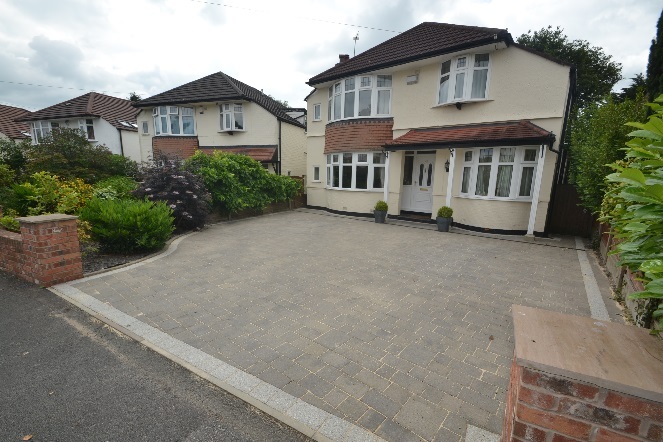 We always install our block paving on a minimum 150 mm (6 inches) of compacted MOT type 1 base material. The full name for MOT type 1 is “Type 1 granular sub-base to the Department of Transport Specification for Highway Works". It compacts very well and is far superior to the recycled products that are sometimes used to save money. It is essential that this 150mm thick layer is compacted in 2 layers of 75mm. This adds a little to the cost of the driveway because it means 2 smaller deliveries rather than one bulk delivery and it means more labour too as the levelling and compaction happens twice. However only by doing this can we ensure that the whole base is thoroughly and consistently compacted. If the base is right then the drive is right and will be for years to come. The following photo shows a driveway we installed in May 2010. The second photo is 4 years later and it looks as good as they day it was laid. The only difference is the bushes which are thriving!  Creative Gardens and Driveways have installed hundreds of driveways across Cheshire. 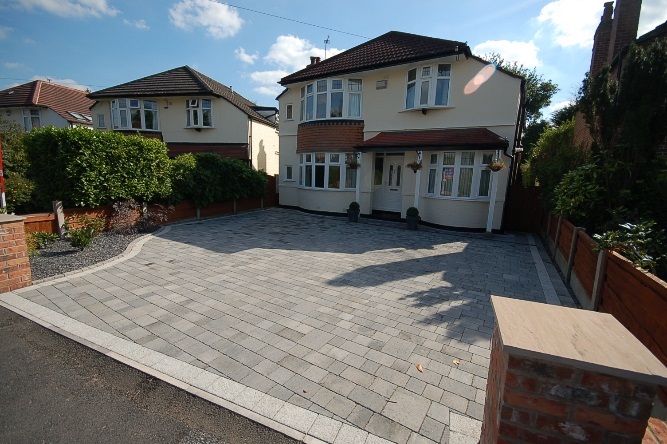 Call 0161 439 4858 for a free driveway consultation.